Definition at line 889 of file llfloatereventlog.cpp. Definition at line 894 of file llfloatereventlog.cpp. References LLWindow::copyTextToClipboard(), gViewerWindow, LLViewerWindow::mWindow, LLUUID::toString(), utf8str_to_wstring(), and UUID_STR_LENGTH. Referenced by LLFloaterEventLog::onClickAvatarGetKey(), and LLFloaterEventLog::onClickObjectGetKey(). Definition at line 892 of file llfloatereventlog.cpp. References LLUUID::asString(), CHAT_TYPE_SHOUT, gAgent, and LLAgent::sendChat(). Definition at line 891 of file llfloatereventlog.cpp. References LLMuteList::add(), LLMute::AGENT, and gMuteListp. Definition at line 890 of file llfloatereventlog.cpp. Definition at line 893 of file llfloatereventlog.cpp. 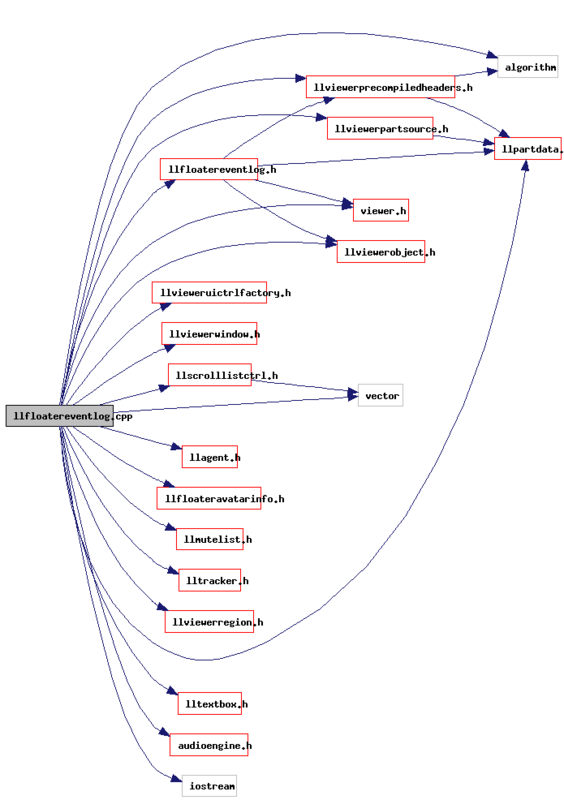 Referenced by LLFloaterEventLog::onClickAvatarTrack(), and LLFloaterEventLog::onClickObjectTrack().